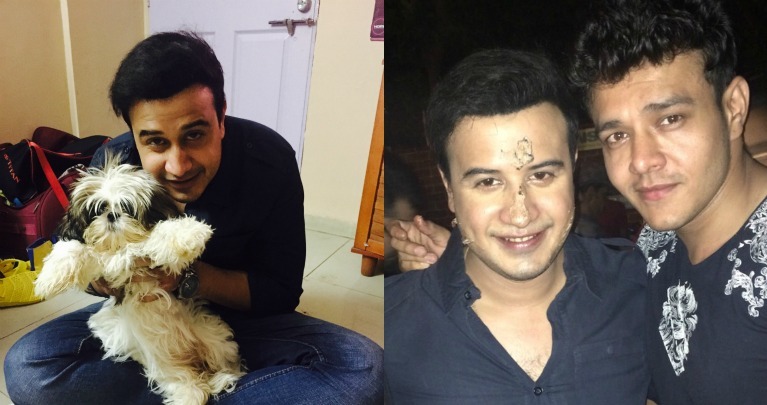 What was the special birthday gift for Tarul Swami by his friend Aniruddh Dave? Actor Tarul Swami, who recently turned a year older has received a best birthday gift to cherish forever. Tarul Sharma, who is currently seen on Zee TV's popular show Hello Pratibha and Aniruddh Dave who is currently seen on Zee TV's much loved show Bandhan...Saari Umar Humein Sang Rehna Hai are very good friends with each other. They had signed a show together which couldn't go on floors. Since then these two who also belong to the same hometown Jaipur have been friends for life and Anniruddh really made Tarul's birthday special for him by gifting him a pet knowing that Tarul is very fond of pets. When we contacted Tarul, he said, "I am very fond of dogs and have always been a dog lover. He is a very close friend of mine and I have gifted him a dog before. It was really a very sweet gesture from his side to surprise me with this gift on my birthday. I don't have my family in Mumbai; all I have here are my friends. Pets shower their love on us unconditionally in whatever mood you are in. I am so thankful to Aniruddh for gifting me this dog. I have named him Dum Dum because Aniruddh always calls me Dum Dum so I have named this gift by him with this name. I carry along Dum Dum with me on my sets and further I will keep someone to take care of him and I will also make sure to spend a lot of time with him." We tried contacting Aniruddh but couldn't reach to him. That's a special birthday gift indeed!